Natural enemies are organisms that kill, decrease the reproductive potential or otherwise reduce the numbers of another organism. Natural enemies that limit pests are key components of integrated pest management programs. Important natural enemies of insect and mite pests include predators, parasites, and pathogens. 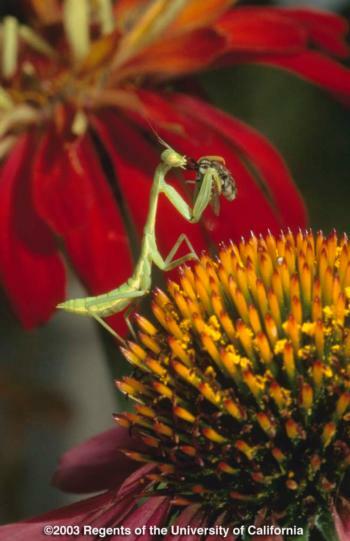 Biological Control and Natural Enemies Pest Note from the UC IPM program.